A lot of Clothes in No Space! 1. Try installing a second closet rod above your main one. Buy a stool or a reaching rod for access. 2. Matching hangers makes everything look so nice. 3. Cascading hooks are genius and work with almost any hanger. Use two at a time! 4. You can get a tiered hanger for skirts. 5. 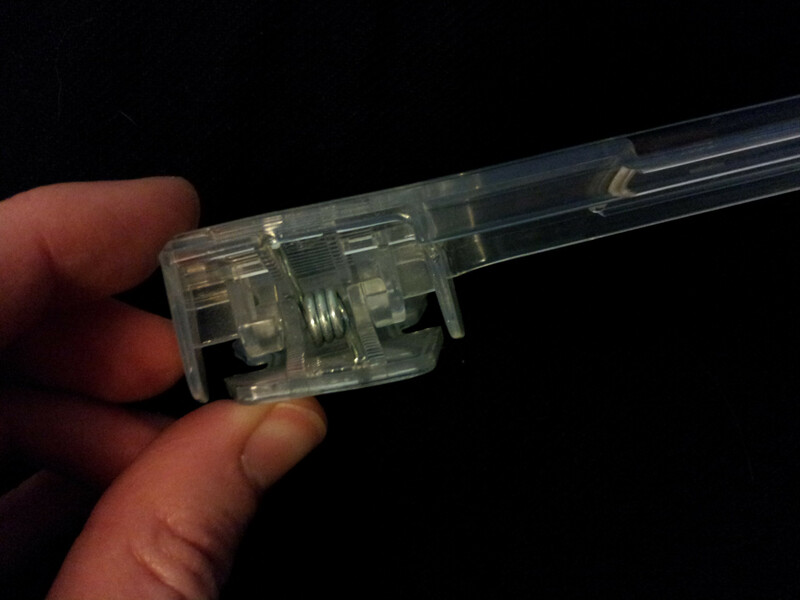 Skirt hangers with spring-clips and smooth rubber grips are best. 1. Fold all knit items to prevent hanger bumps. 2. Got deep shelves? Fold clothes appropriately. If you still have space behind your folded clothes store your out-of-season sandals/sweaters back there. 3. If you are using a dresser or other drawers, stack clothes vertically rather than horizontally. 5. For open shelving, be sure not to stack so high that it tumbles. 1. 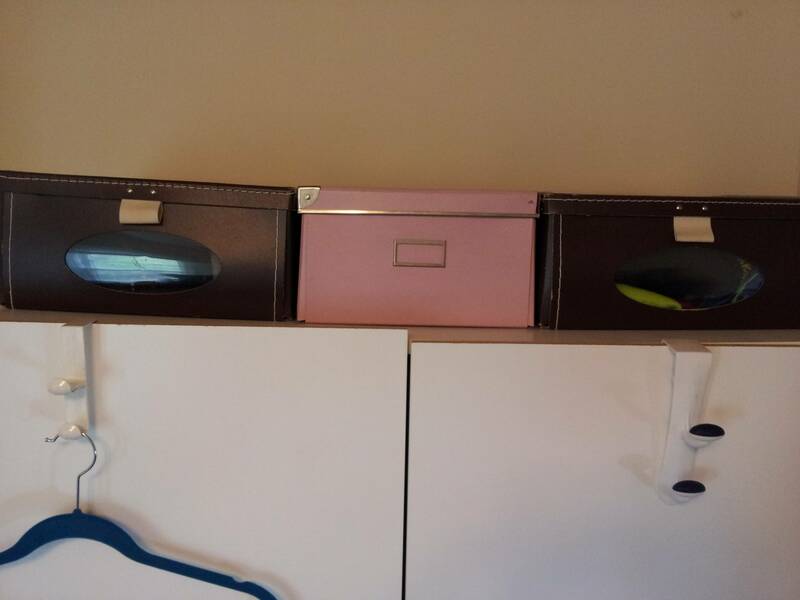 Use an over-the-door shoe organizer. Ideally, look for ones where you can put both shoes in one slot. 2. Small cheap bookshelves are great for boots. Check your local Craigslist for cheap ones. 1. Stuff bags with tissue to keep their shape. When using a bag, leave tissue as holding space. 2. 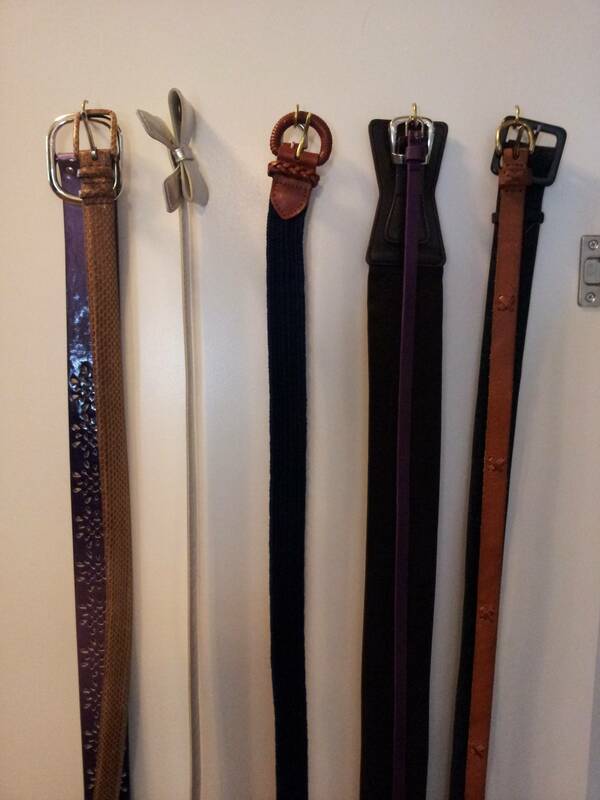 Sit them on a shelf rather than hanging them to prevent handles from stretching out. 3. Use bookends to keep them up. 4. If you must hang, use an over the door coat rack to hang bags, and even hats. 6. 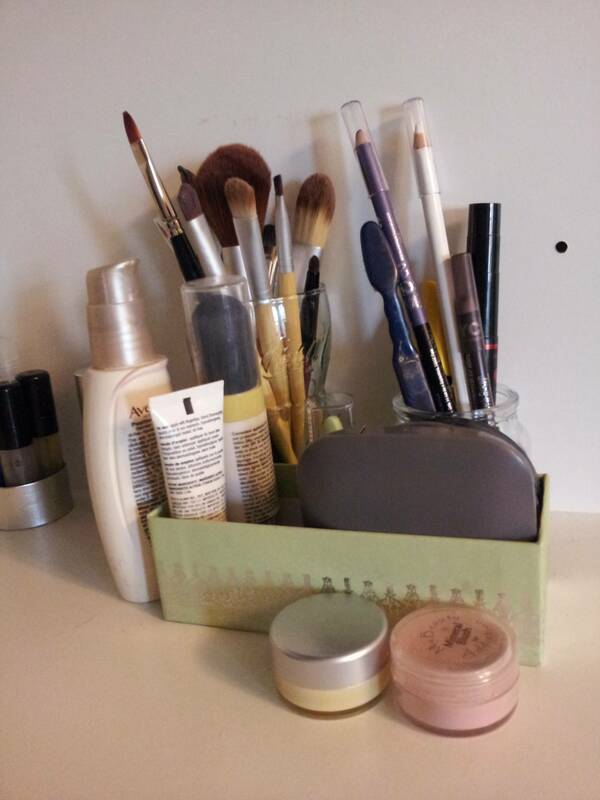 I love having a junk bowl or box for the things that I often but not always keep in my purse like hand sanitizer or a different sized wallet. 2. 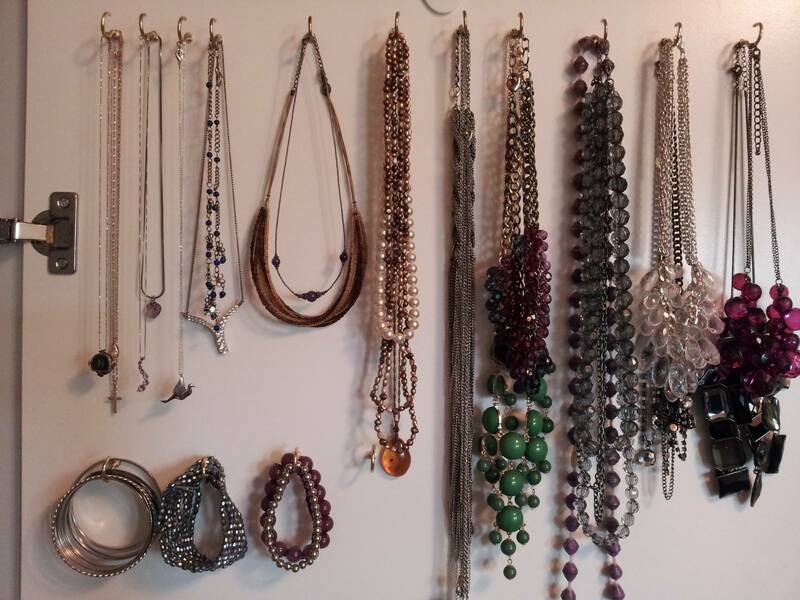 For belts, jewelry, sunglasses, and basically everything else ever, buy some screw in hooks in bulk at the home improvement store, and leave no wall or cabinet space uncovered. 3. Corral smaller items into open boxes, jars, and cups purchased at thrift stores. 4. 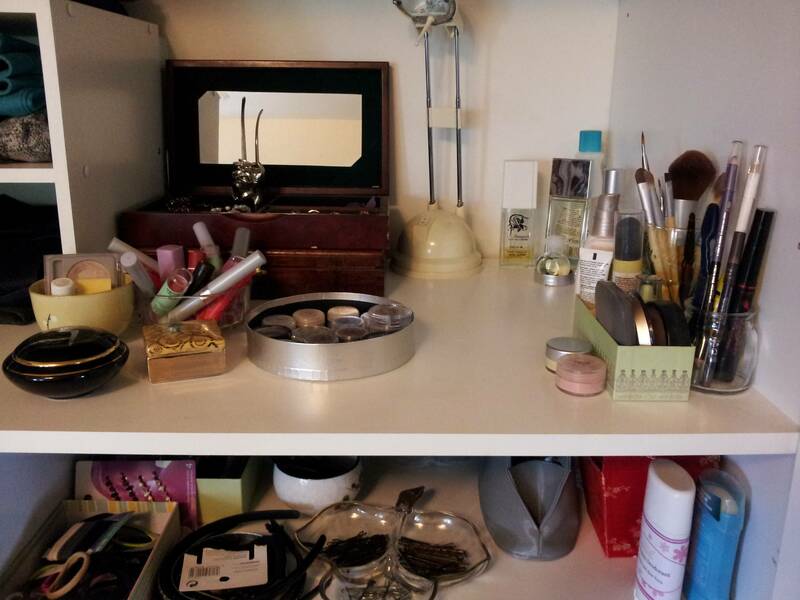 Items that you intend to use infrequently can be hidden away in boxes. Those are Ikea, and hold travel organization tools, special occasion undies, and hats. To get help fulfilling all of these organizational dreams, get in touch with Organize Me! Satin brass is a brushed or muted metal that offers a warm, non-reflective finish to your home, without the high price tag of other metal finishes. Hardware has long been hailed as more than just an afterthought and instead helps to pull your entire design-style together. Marble is in for 2017! Although marble has never really been out, it’s making a big entrance again this year. As a design staple in beautiful spaces for generations, marble adds instant elegance and quality. Marble can be added to almost any space in your home: kitchens, bathrooms, libraries, home offices and even closets! We’ve been huge fans of green for a long time, so we love that green is finally getting the love it deserves. You won’t have to look far to see a lot of green interiors this year. From light olive green to jewel-toned jade green, green will be blowing up your Pinterest feed in 2017! Finally, we close our list with a design trend that’s been around for centuries in Scandonavia and is making a major splash in the United States. So much so that Pinterest predicts it as a major home trend in 2017: Pinterest Predicts the Hottest Home Trends of 2017. So, what is hygee? Hygee has been explained as a feeling of comfort, joy in the simple and natural, togetherness or cosiness. “Pronounced ‘hoo-ga’ or ‘hue-gah’, the word is becoming increasingly recognisable and was originally a Norwegian term for wellbeing. Developed into a concept and way of living by the Danish in the 18th century when it first appeared in writings of the time, the country hasn’t looked back since. Hygge is the art form of creating intimacy in any given moment. When you need help decluttering so you can begin your home decorating, Contact Organize Me! Take some time to review your summer clothes. Decide what you’ll keep for next year and what’s taking up too much space in your closet before moving clothes to your overflow closet, packing them or just moving them to a corner of your closet. This will help you declutter your summer clothes so you don’t need as much space to store them off-season. As you clean, make three piles: donate, sell and trash. Be honest in your assessment of each piece. For example, did you avoid wearing that maxi dress for the second year in a row because it’s a tad too small? You should also consider donating or getting rid of clothes that are out of style, lower quality than what you currently wear or items that have a tear or stain that you know you won’t repair. Before you put away summer clothes, dry-clean, hand wash or launder your clothes. Doing this helps prevent invisible spots from setting in over time; your clothes will also smell fresh and look better when you do the closet swap next spring. Sweaters and other knits are best stored folded on shelves. If you’ve got a large scarf collection, you might keep them in a few different places—a few stashed away in a drawer and tied on some hangers. 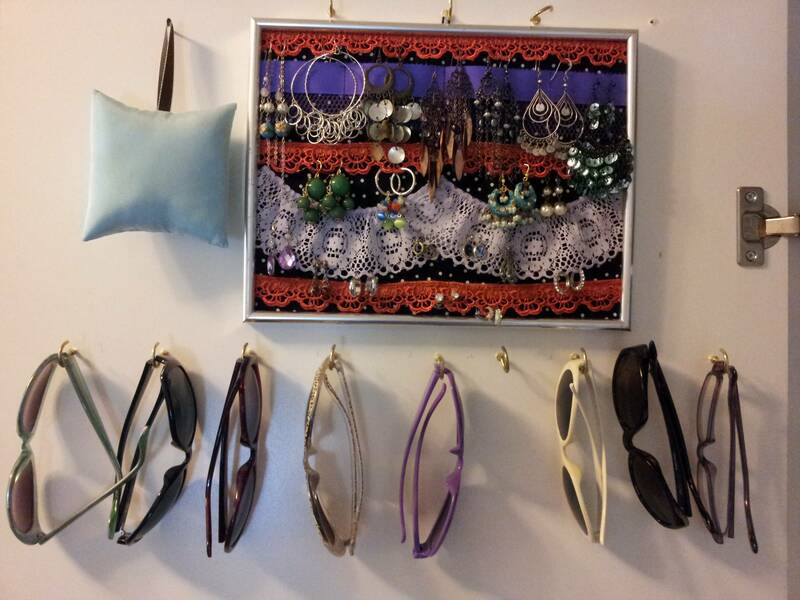 Free up some precious hanging storage and drawer space and make it easier to see all of your scarves by adding multiple hooks. Even better, add custom scarf storage where you can drape multiple scarves in one spot so everything is in the same place. 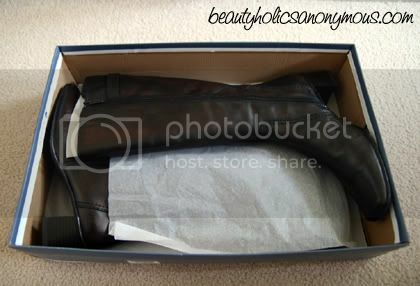 Try storing boots in their original boxes (plastic containers work well, too) on the floor or a shelf. Keeping flats, sneakers and booties in cubbies and on shelves will free up floor space for boot storage. Review your winter staples to ensure they’re free from stains and tears. Assessing everything now will ensure you know what you need when it comes time to shop. Depending on how well you preserved your clothes from last winter, you may also want to get some coats and heavier items dry cleaned before wearing them. For help sorting through your clothes and getting it all organized reach out to Organize Me!